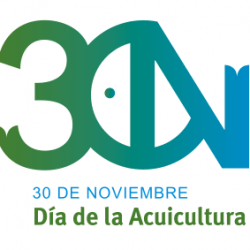 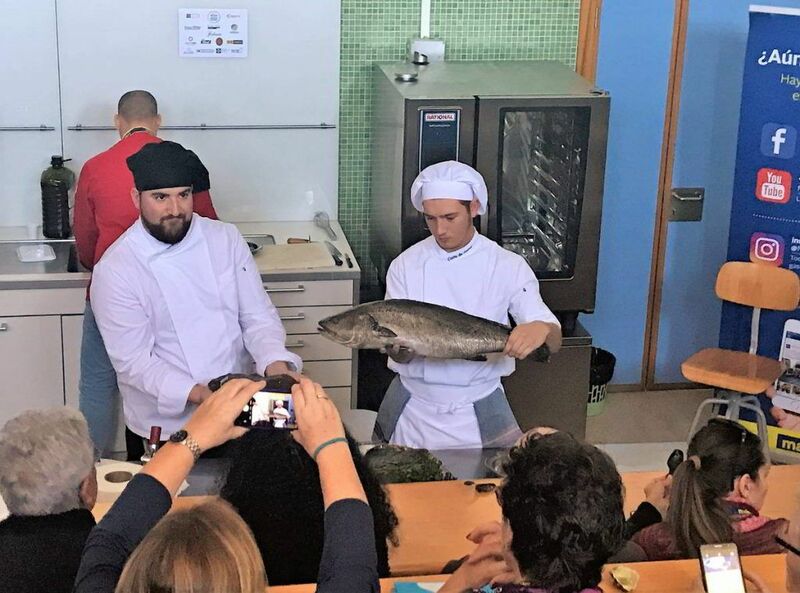 The Institute of Aquaculture Torre de la Sal (IATS) organized a series of events around the celebration of the World Aquaculture Day, under the title Say Yes to Aquaculture 4S: Sustainable, Salutary, Safe and Succulent, in which FRESCAMAR actively participated. 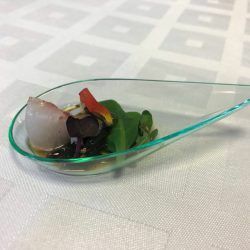 These gastronomic-scientific activities, promoted by the IATS together with the Research Institute for Food Sciences (CIAL), were held in Castellón for two days in collaboration with the School of Hotel Industry and Tourism of this municipality. 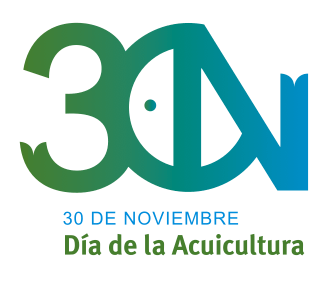 The opening day was attended by José Pío Beltrán, CSIC Institutional Coordinator in the Valencian Community; José Miguel Cerdá-Reverter, IATS Director; Rubén Martínez Morata, Deputy Director of the School of Hotel Industry and Tourism of Castellón; and José Carlos Rendón, President of the Spanish Association of Aquaculture companies (APROMAR), among others. 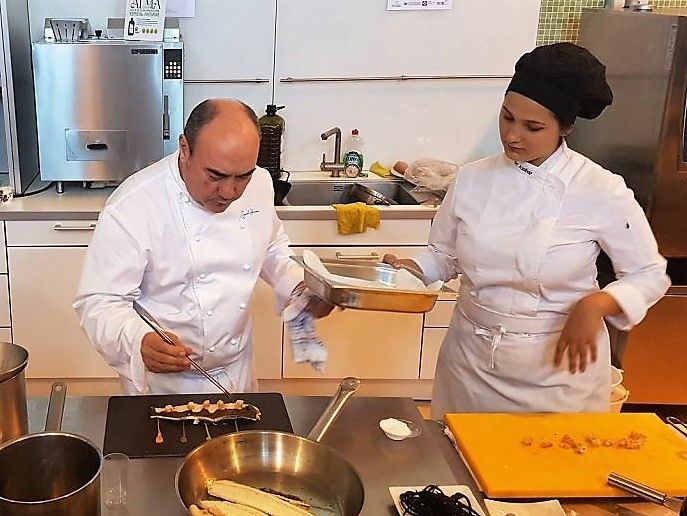 Also, the General Secretary of Fisheries of MAPAMA, Alberto López García-Asenjo; the President of the Royal Spanish Academy of Gastronomy, Rafael Ansón; and the chef Mario Sandoval participated in the event through a video. 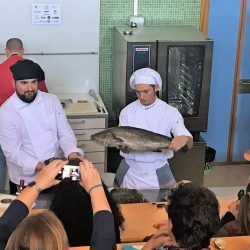 The lectures given during the first morning culminated with a show cooking followed by a tasting session by the hand of two prestigious Spanish chefs who prepared tasty dishes with raw materials from aquaculture and in which FRESCAMAR was widely represented. 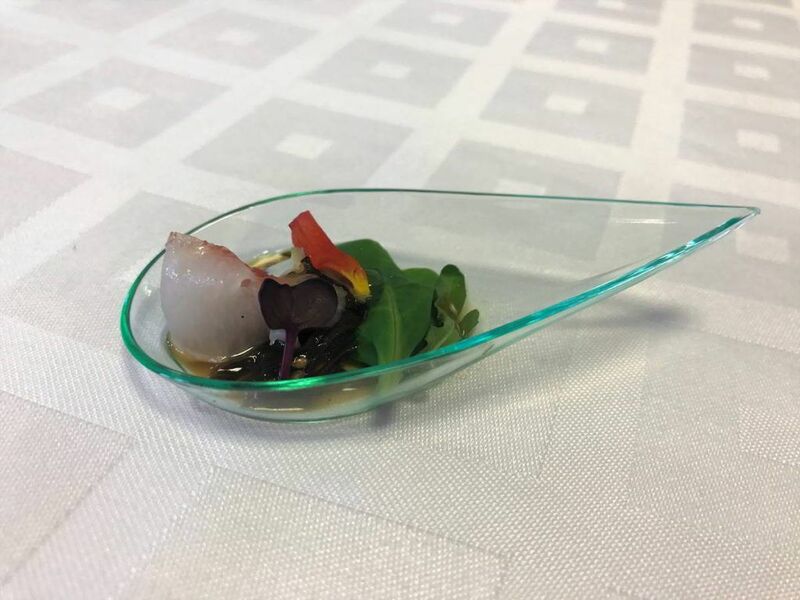 Miguel Barrera from the restaurant Cal Paradís, which holds a Michelin star, was one of the chefs in charge of this tasting session in which the texture and flavor of the products provided by FRESCAMAR captivated the attendees. 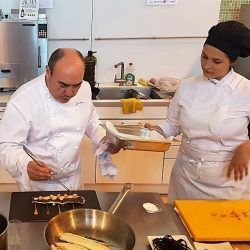 Daniel García Peinado was also in charge of the kitchen and the chef and professor at the University Francisco de Vitoria (Madrid), Alberto Carreña, was responsible for presenting the particularities of each species. 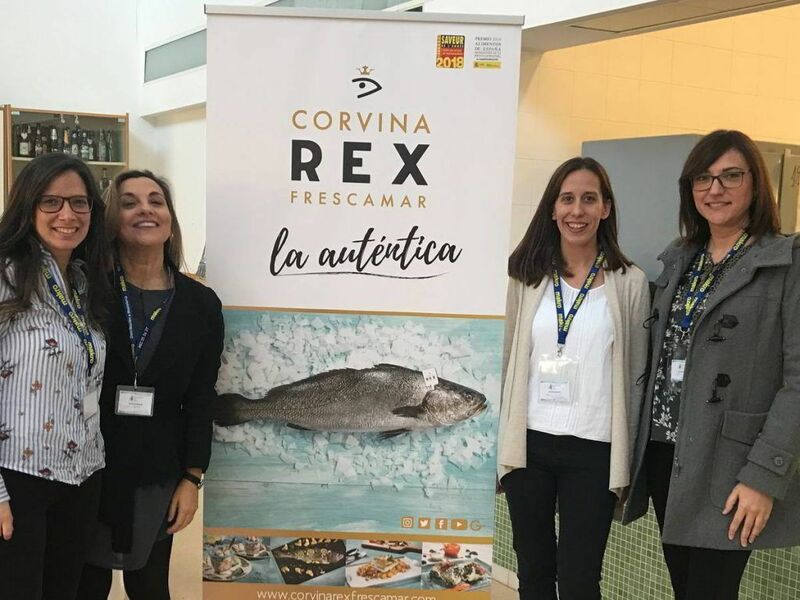 The second day included a guided visit to the facilities of the Institute of Aquaculture Torre de la Sal, the only center of the Superior Council for Scientific Research (CSIC) devoted entirely to the study of marine aquaculture. 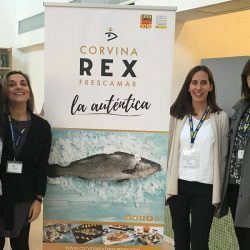 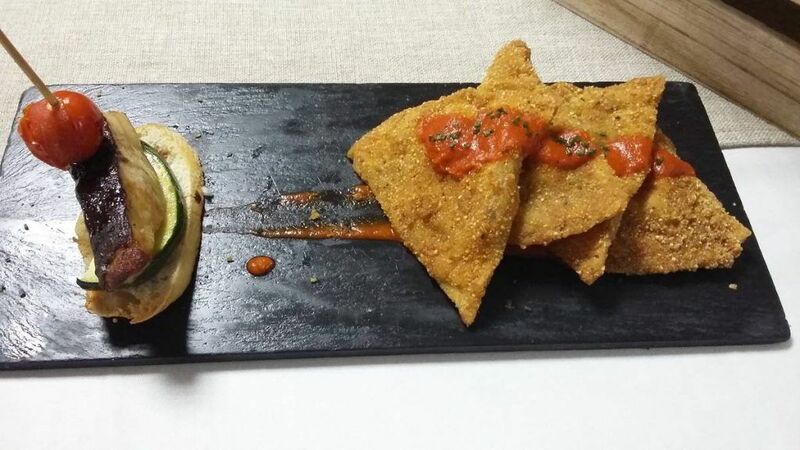 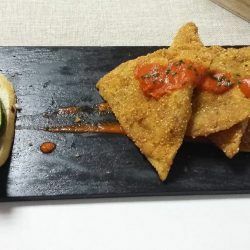 In parallel and also commemorating the World Aquaculture Day, a meeting of the Aquaculture and Environment Research Center (ACUMA-RC) was held at the Polytechnic University of Valencia for which the company delivered Corvina REX, becoming one of the protagonists of the tasting that was offered later.